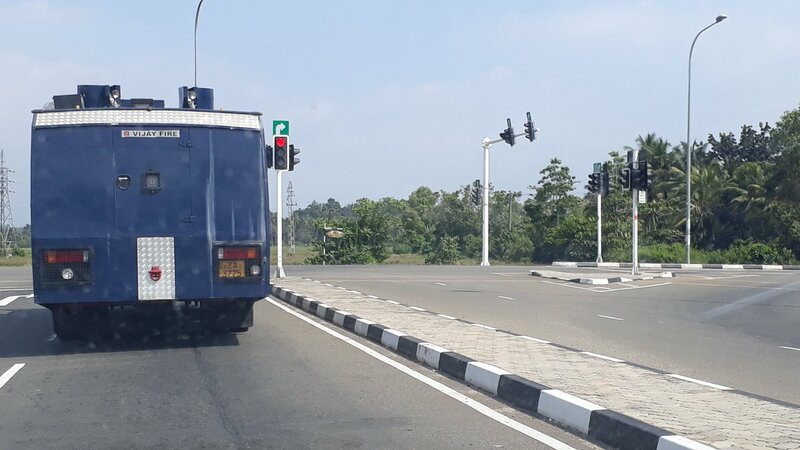 A tense situation erupted in Hambantota this morning, when protestors gathered outside the complex at which Special Economic Zone (SEZ) with China is to open. This comes on the heels of an injunction order by the Courts preventing protests and demonstrations in the area during the opening of the special industrial zone. The injunction order had covering specific areas in Hambantota and specific individuals including MPs Namal Rajapaksa and Chamal Rajapaksa from converging or protesting. 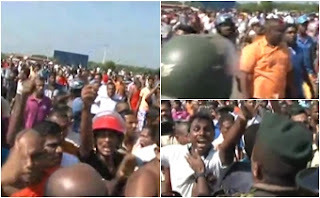 Several persons were injured when the group of protestors clashed in Hambantota, and threw stones at each other. Police used teargas to disperse the protestors. Anti-riot outfits were sent from Colombo to Hambantota is anticipation of unrest.